(Reuters) - Lawmakers seeking Special Counsel Robert Mueller's report are likely to face a protracted legal battle that will turn on President Donald Trump's right to keep communications with his advisers private, legal and political experts said. On Sunday, U.S. Attorney General William Barr sent a summary to lawmakers saying the Mueller investigation found Trump's 2016 presidential campaign did not conspire with Russia. But the probe left unresolved the question of whether Trump engaged in obstruction of justice, setting out "evidence on both sides of the question." Barr concluded there was insufficient evidence to bring an obstruction case against Trump, prompting Democratic lawmakers to call for the release of the full report and the underlying evidence Mueller relied on. House of Representatives Judiciary Committee Chairman Jerrold Nadler, a Democrat, said on CNN on Sunday he would “try to negotiate” with the Justice Department to obtain the full report, but that the committee would issue subpoenas and litigate if needed. Other Democrats, including candidates vying for the 2020 presidential nomination, have called for release of the full report. Ross Garber, a lawyer in Washington focusing on political investigations, said Congress would have a difficult time persuading judges to release materials marked as classified or privileged by the executive branch, and that even a successful challenge could take years. "Congress faces substantial legal and procedural hurdles in any effort to get these materials," Garber said. Barr is required by law to keep secret information obtained from grand jury proceedings. This would not apply to information obtained from Trump advisers and other witnesses who agreed to sit down voluntarily with Mueller. Barr could also keep parts of the report under wraps by invoking a Justice Department policy against disparaging individuals who have not been charged with crimes. 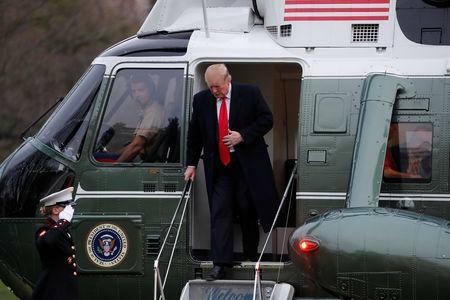 The most contentious fight will likely be over any materials the White House tries to shield from public view by claiming executive privilege, a legal doctrine generally used to keep conversations between the president and advisers private. The doctrine is rooted in the idea that the president should be able to receive candid advice on policy matters. If Barr withholds information based on executive privilege or Justice Department policy, Democrats could bring a lawsuit seeking to force disclosure. But it could be months before the Democrat-led House is even in a position to sue, legal experts said. Lawmakers would first need to make a formal demand for the report by invoking their subpoena power. If Barr refused to release it, Democrats would then vote to hold him in contempt of Congress, experts said. Congress would then sue to enforce its contempt finding. Legal experts said that, while executive privilege has been recognized by the Supreme Court, it must be narrowly asserted and balanced against Congress' need for information to fulfill its duty of oversight over the executive branch. Garber said an executive privilege claim would be particularly strong if it were invoked to keep private the nature of Trump's private conversations with close advisers, like former White House lawyer Don McGahn, who sat for interviews with Mueller's team. Those sorts of communications are exactly what the privilege is intended to keep private, Garber said. But Mitchel Sollenberger, a professor of political science at the University of Michigan-Dearborn, said courts would be sympathetic to arguments by lawmakers that they need more information about the Mueller investigation to do their job. In 2012, Republican lawmakers sued Democratic President Barack Obama’s attorney general, Eric Holder, to obtain documents over a federal law enforcement operation targeting gun traffickers, code-named Fast and Furious. The litigation dragged on for six years before ending in a settlement that called for the production of documents after Obama and Holder had already left office. 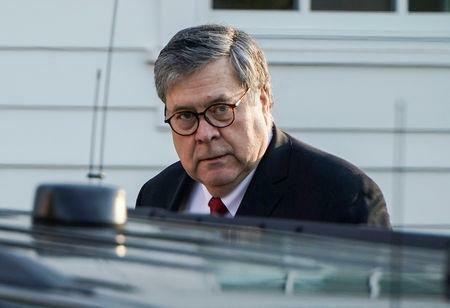 John Marston, a former federal prosecutor in Washington now at law firm Foley Hoag, said it would be in the best interests of both Democratic lawmakers and the public to compromise with Barr and avoid a protracted court fight. "I'm sure there are many ways to structure access to a significant amount of this information," Marston said. "Negotiating and finding a common agreement on access to the materials would help us all move past this."